It began with a tiny violin presented to oldest son James, then 3 ½ years old, a gift from father to son. The father began playing his guitar for the sons; teaching lyrics to popular songs and having them sing their favorite song “Dead Skunk in the Middle of the Road” by Loudon Wainwright III which they sang at the UC Alumni Camp Lair of the Bear. Now, years later, the father Jim and sons Clark and Graham are playing together. All of the music is original and comes from the complex experiences of life. While the roots of American folk music are prevalent in the playing style, the music is fresh and unique, reflective of the family from which the music originates. Clark and Graham are multi-instrumentalists (violin, mandolin, bouzouki, guitar, vocals) and Jim tries to keep the rhythm pulsing in the background with his acoustic guitar. Graham toured nationally as the bass player for Tornado Rider, a power rock group featuring Grammy nominated Rushad Eggleston on cello. Graham and Clark are also members of the Bay Area based Indie Folk group Middlesleep. 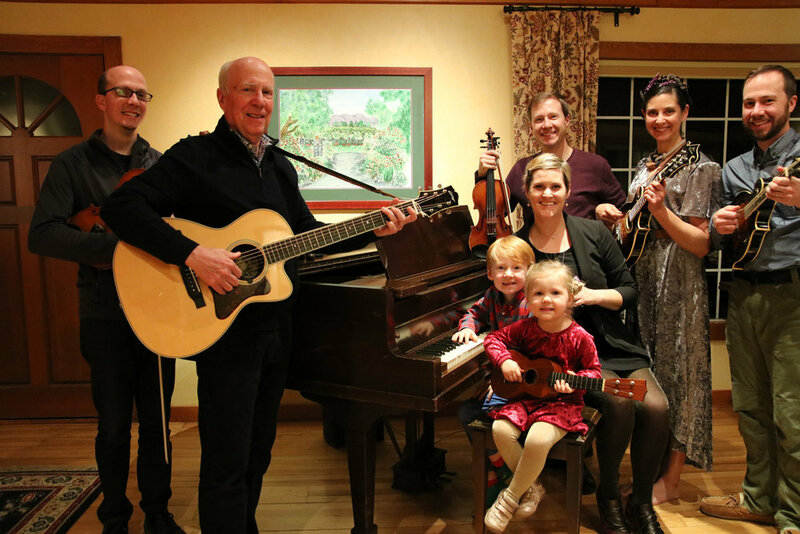 Starting in 2017, the Terry Family became a member of West Coast Songwriters and participated in various singer-songwriting competitions at the Napa venue. During the 2017 season, Terry Family received Best Performance awards for “Candlelight”, “Holy Places”, and “The Photo” (in Petaluma) and a Best Song of the Month award for “The Photo”. In the 2018 season, Terry Family has earned the Best Song of the Month award for “Fire in the Wind” and “The State I’m In” and will be performing in the Napa competition finals on August 8, 2018 at the Capp Heritage in downtown Napa. You can listen to these songs on the Music page or on Soundcloud.